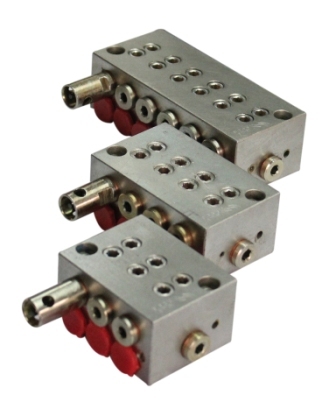 Series 3550 is the most simple and cost effective series of progressive blocks which we offer. They come with standard 6, 8, 10 and 12 outlets. However, we have a special provision of cross porting using which the outlets can be combined to achieve desired number of outlets and output per stroke.